Operational cost must be kept reasonable, but not instead of safety. No other uses have been specified. Systems are made as simple as possible and only those that are needed are present. Structure requires as little maintenance as possible. These are numbers for the prototype. It carries the penalty of being a prototype, particulary in the empty weight. We estimate that the prototype penalty is something like 30-40 kg. Weight includes 70 m towrope (in the integral hoist). Fits within LSA definition of FAR CR 1.1. 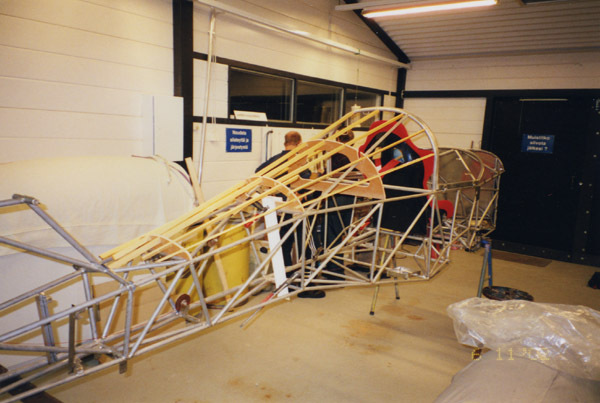 Prototype has welded tube construction of SAF 2205 tubing. This tube does not corrode. And this material has very high yield (25%) meaning better changes in crash. Plans are for 4130 material, far easier to get. Composite structure. 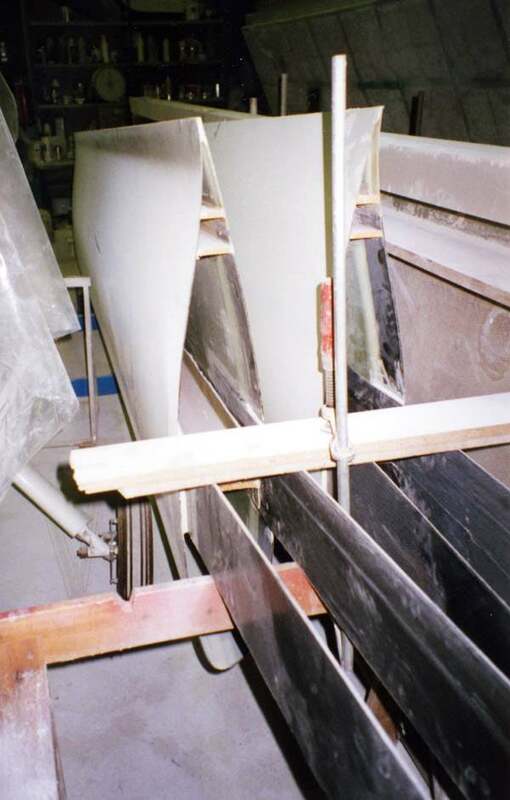 Common glider structures, whith glass fibre reinforcement PCV foam samdwich. Carbon spars. Fuel in wings. Components selected keeping in mind, that someday towpilot will make a hard landing. 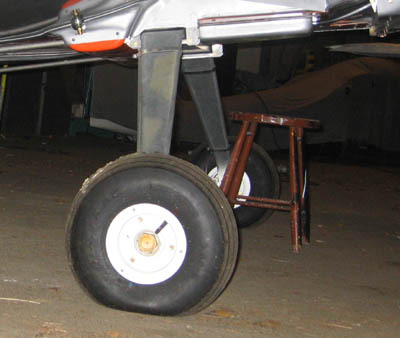 Main wheel components are same as what Cessna 172 has. Brake unit is also same and while braking an aircraft this light it does not work very hard. Rotax 914 may not seem to offer much more than 912S. But it is turbocharged, meaning that it does not lose power when density altitude rises. 912S has 100 hp at sea level at 15 C. When is a gliding airport at sea level and when it is that cold? 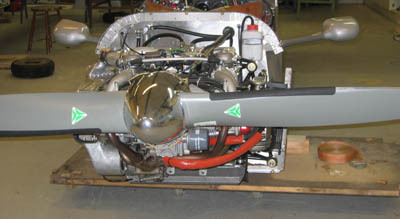 Rotax 914 will maintain 115 hp up to FL150. 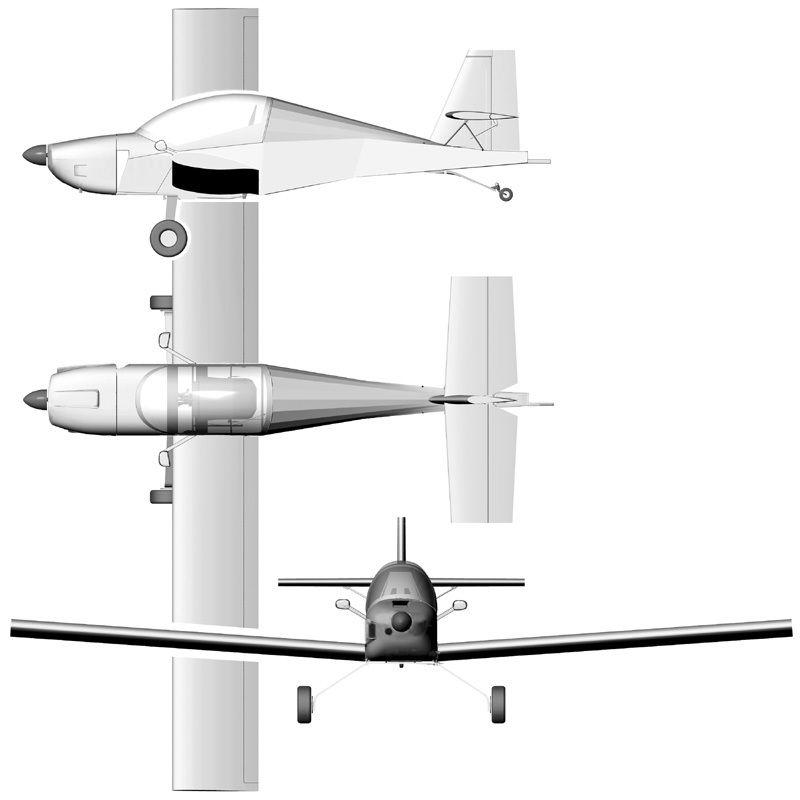 And as the langing gear is quite high, we could use a propeller optimized for low speed. Diameter is 1,95 meters, large prop disk area means very high static thrust.